On Tuesday, in Baton Rouge, Louisiana, officers confronted Alton Sterling, which escalated into an altercation that ultimately resulted in the 37-year-old African American man's death. According to police, officers arrived on the scene after receiving a 911 call that Sterling was selling CD's outside a convenience store and had threatened someone with a gun. A cell phone video taken during the altercation — which has since been widely circulated — shows Sterling on the ground, pinned down by two officers, before being fatally shot. But a big question in the wake of the shooting is: were the police who shot Alton Sterling wearing body cams? The shooting has already sparked protests not only from Baton Rouge residents, but from people across the country. There's also now the hashtag, #JusticeForAltonSterling. 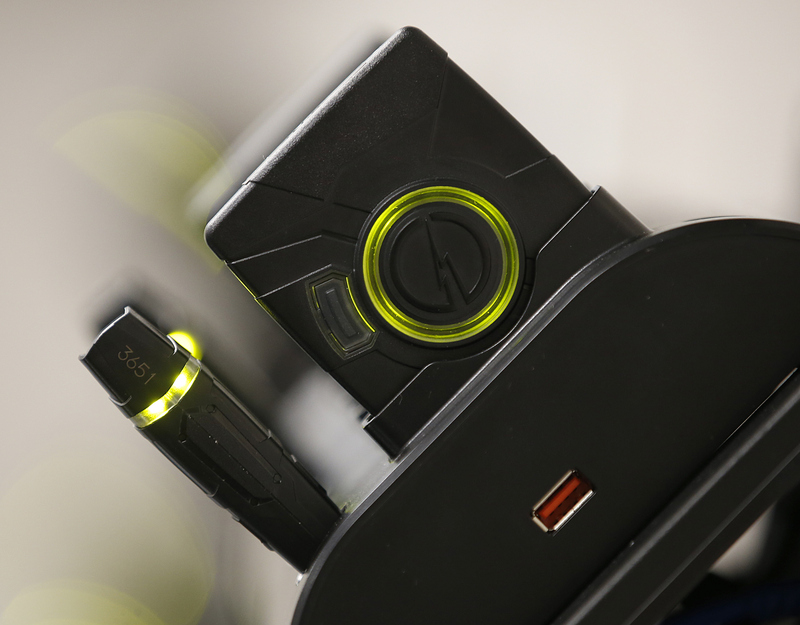 The Baton Rouge Police Department started a ten-month pilot program in October 2015, with 100 police officers in the First District wearing body cameras. But in June 2015, the city council voted against an ordinance requiring all officers to wear body cameras, as reported by New Orleans newspaper The Times-Picayune. In spite of this, reports indicate that the police officers involved in the shooting of Sterling had body cameras. However, the question of whether the officers were wearing body cameras is a bit more complicated than yes or no. Following a briefing by the police chief, state Rep. C. Denise Marcelle told CBS affiliate WAFB-TV that officers were wearing body cameras, but "the cameras fell off during the struggle and did not capture the shooting," according to the report. Marcelle did say that there's footage from a convenience store surveillance camera and the dashboard camera of a police patrol car, but that neither had been released publicly. This incident further adds to a growing number of unknowns when it comes to reliability and usefulness of body cameras. According to a database compiled by The Washington Post, of the 505 police related shootings so far in 2016, police wore body cameras in just 62 of the cases.